Located in the historic Georgetown district of Washington, D.C., The Ritz-Carlton, Georgetown, offers an on-site restaurant and a full-service spa for guests. Featuring a flat-screen TV, each room at the hotel comes with cable channels and 24-hour room service. The marble en suite bathroom comes with bathrobes, a hairdryer and complimentary Asprey toiletries. 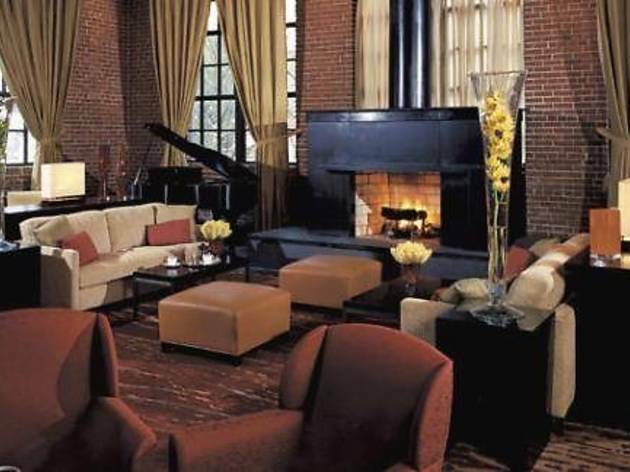 Housed in a refurbished, historic industrial building, the Georgetown Ritz-Carlton offers dining at the on-site Degrees restaurant and in The Living Room, located in the lobby. 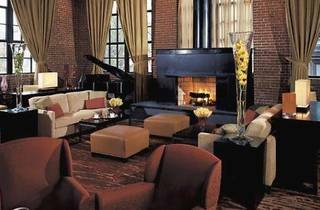 Featuring exposed brick and black slate decor, the lobby also hosts a nightly snack of s'mores cooked over the fireplace. Guests of the hotel can enjoy a yoga class in the on-site garden before brunch at the restaurant. A terrace is also available for guests to relax at and meeting facilities are located on-site. The Foggy Bottom Metro Station is just 17 minutes' walk from the hotel, while Dupont Circle is 2.1 km away. Both the White House and the Lincoln Memorial are within 3 km.